Publisher: Nova Science Pub Inc. Driven by automotive industry and the fast uptake of compasses in handsets and tablets. 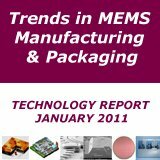 The silicon magnetic sensors market revenue in 2011 is set to rise 23.7%, according to a new IHS iSuppli MEMS & Sensors Special Report from information and analysis provider IHS. 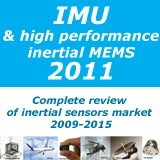 IHS microelectromechanical systems (MEMS) and sensors senior analyst Richard Dixon said given the spectacular recovery of the automotive passenger-vehicle industry and the fast uptake of compasses to aid navigation-related functions in handsets and tablets, the magnetic sensor market can look likewise to healthy times in the years ahead. 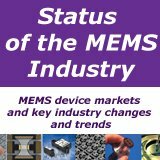 Revenue of silicon magnetic sensors is projected to reach $1.46 bn, up from $1.18 bn in 2010, following a blockbuster year in 2010 where revenues rebounded 48.6%. 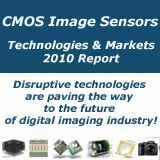 Also providing a boost to magnetic sensors is the digital compass sector, responsible for 20% of magnetic revenues in 2010. Not only is the digital compass becoming a standard feature in the global positioning systems (GPS) of tablets and mobile phones, the device also is starting to find its way into gaming applications, cameras and other devices. Other important applications for magnetic sensors include consumer electronics, PC applications and other miscellaneous uses ranging from pacemakers to switches in fax machines and copiers. 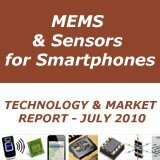 Sparked by Apple Inc.’s adoption of accelerometer technology in its iPhone and iPad lines, the market for motion sensor devices in smartphones and tablets is set to nearly double during the next five years, according to a new IHS iSuppli MEMS & Sensors Special Report from information and analysis provider IHS. Global revenue from motion sensor technology in smartphones and tablets will expand to $2.1 billion in 2015, up from $1.1 billion in 2011. 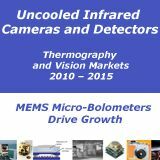 The motion sensor category consists of a range of products, including microelectromechanical system (MEMS) accelerometers, MEMS gyroscopes, electronic compasses–also known as 3-axis magnetometers - and MEMS pressure sensors.